It is sometimes important to gather information about a specific web host. 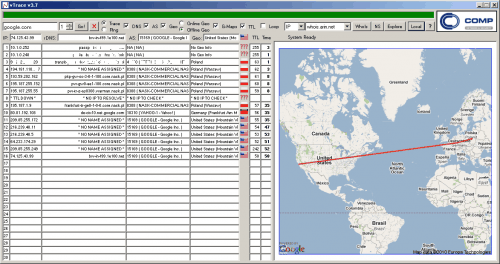 A simple example is a traceroute that can be used to get information about a connection to a specific host. Most operating systems come with a basic set of networking tools that display those information. But the standard tools of the operating system are not the only tools that can be used for the purpose of troubleshooting or analyzing a host or connection. The two other available options are online tools and third party applications. 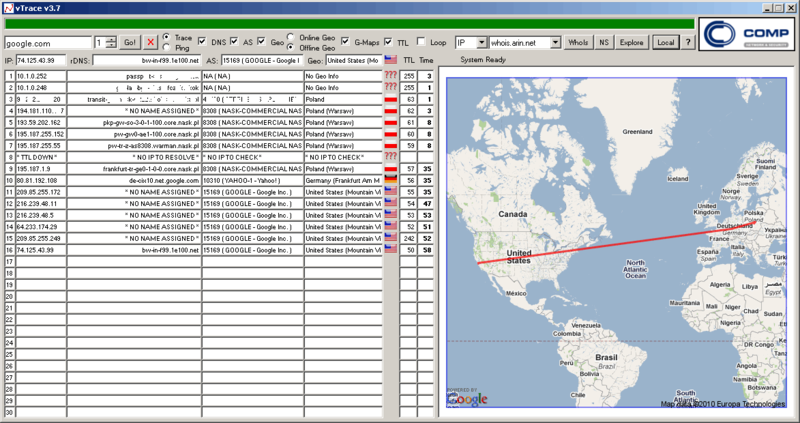 VTrace is a portable third party application for Windows, that combines access to several networking tools in its program interface. Among them the ability to execute a trace and ping to a host, whois information, DNS lookup, a basic port scan, netstat and net information. One interesting aspect of the program is that most of the tools can be executed at once, by entering a host name and hitting the Go button. It is however also possible to start the available tools individually. The Whois information support several of the most important registries, including ARIN for North America, RIPE for Europe, Middle East and Central Asia, INTERIC for gloabl lookups or LACNIC for Latin America and the Caribbean. The port scan can be used to find open ports. It is either possible to run a probe on the most common ports, or define a port scan and scan all ports in that range. VTrace informs the user if specific services, such as FTP, Telnet or SSH are running on the host. 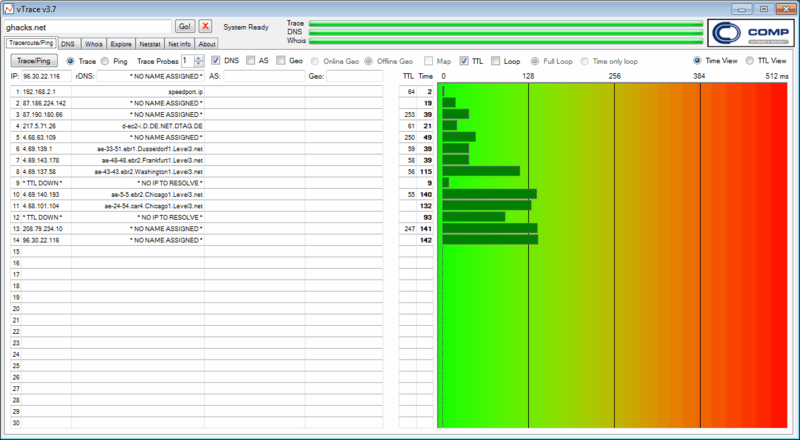 The wealth of features coupled with portability makes VTrace a recommended program for users who need to analyse hosts or connections in a graphical user interface. The portable program is compatible with 32-bit and 64-bit editions of Windows. Downloads are provided at the developer website at Vtrace.pl. The developer website is no longer available. You can download the last release version of VTrace from a third-party repository such as Softpedia. Note that some tools may not work properly anymore if they require access to additional web services that are no longer available or connected. Thank you, I have updated the review to reflect that.